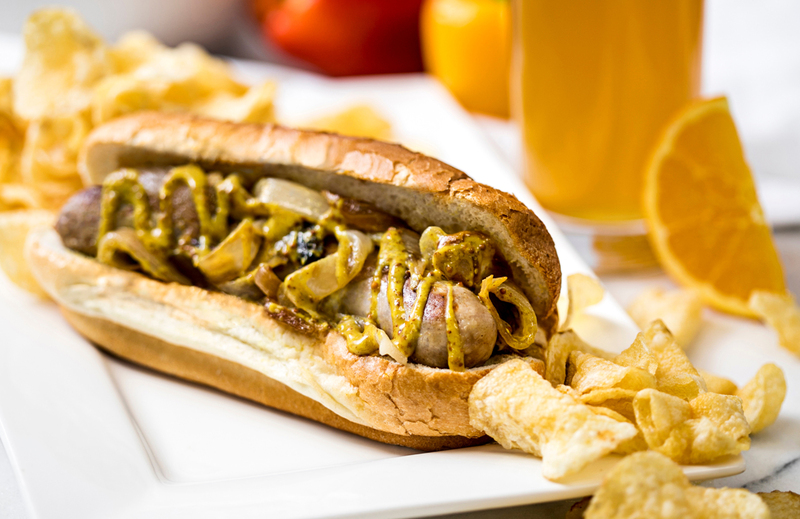 The Shock Top Bratwurst, one of the items at Mercedes-Benz Stadium that will have its price lowered by a dollar on August 30. The “fan-first pricing” is working for MBS, too. In January, the stadium announced a 16 percent increase in fan spending at the stadium during Atlanta Falcons football games, and saw more Falcons fans entering the stadium earlier before games. The stadium says it sold the same quantity of food and drink during the first quarter of 2017 regular season games that it would have sold during an entire game in 2016. Other changes Falcons fans can expect this season include a few new menu items, including two new veggie burgers, one made of quinoa and the other of garbanzo beans; brisket mac and cheese; tinga chicken nachos; and a ton of new fry options, including bacon cheese fries, buffalo fries, Parmesan fries, and funnel cake fries.